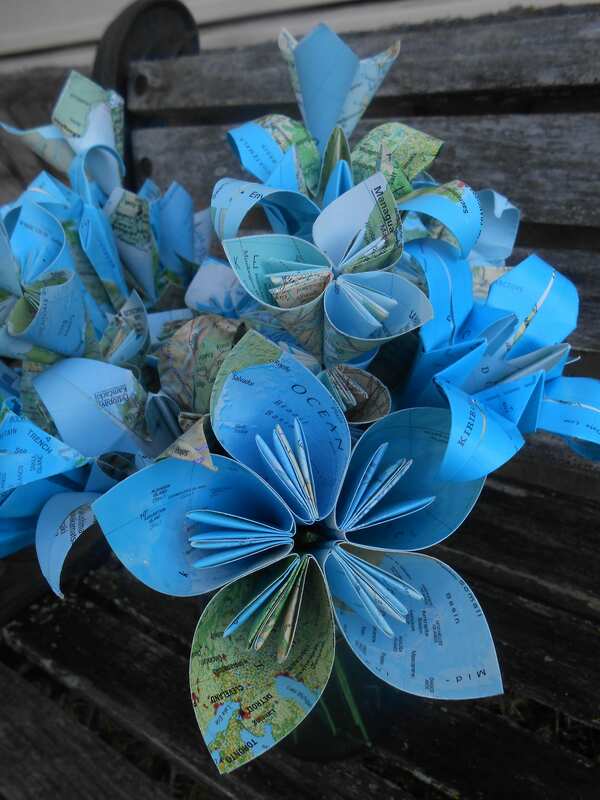 Vintage Map Paper Flower Bouquet, Origami Paper Flowers. 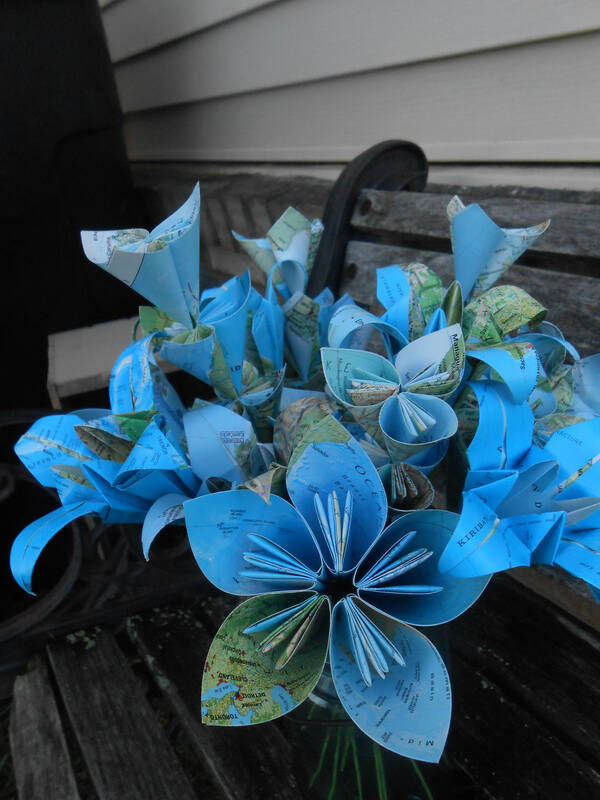 Wedding Centerpiece, First Anniversary Gift, Birthday, Mourning, Housewarming. 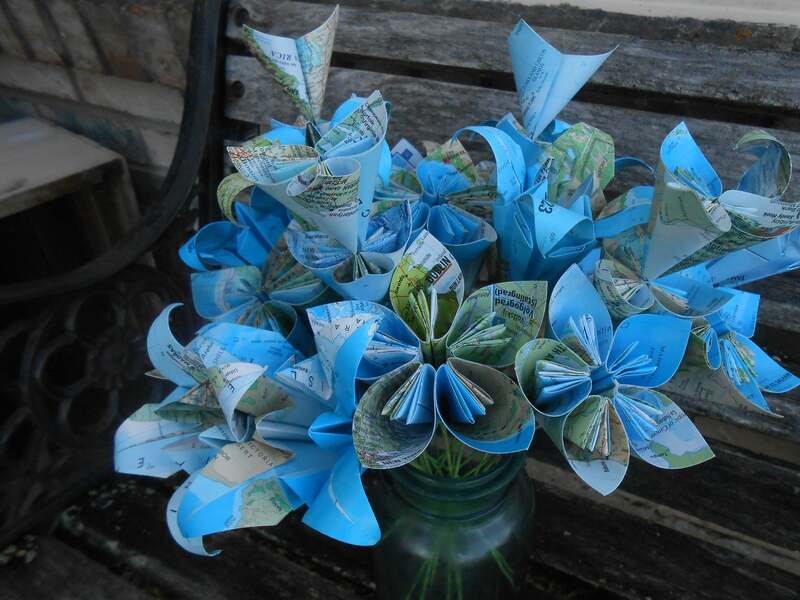 This really cool paper flower bouquet is made from a vintage atlas. 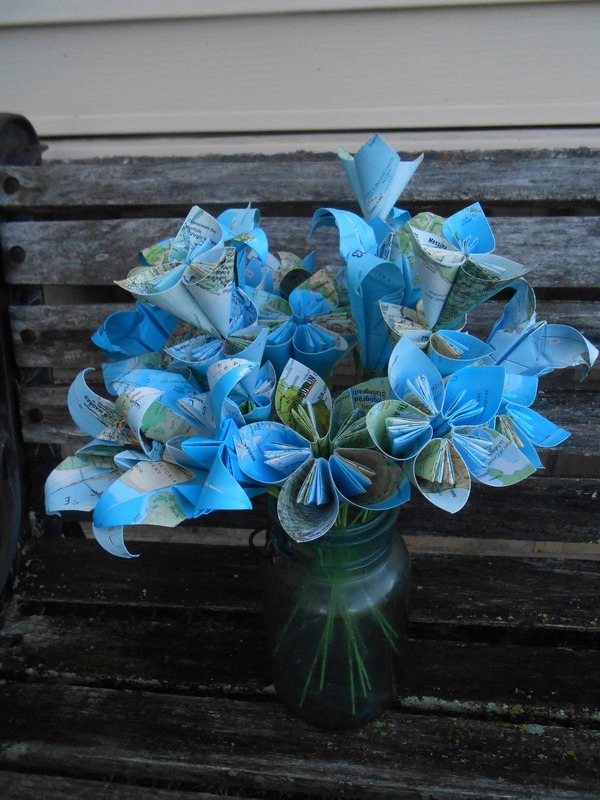 It contains origami lilies and kusudama of all sizes. 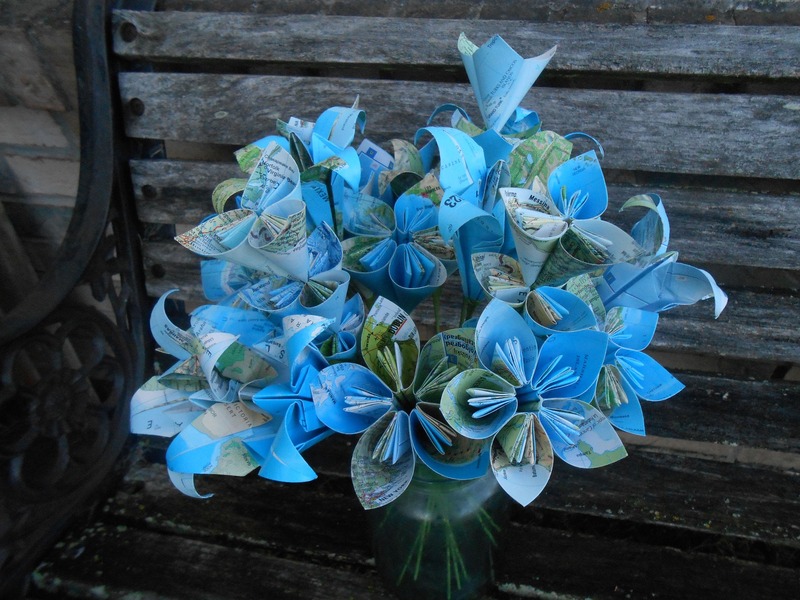 There are 22 stems of flowers in this bouquet, some stems have more than one flower. 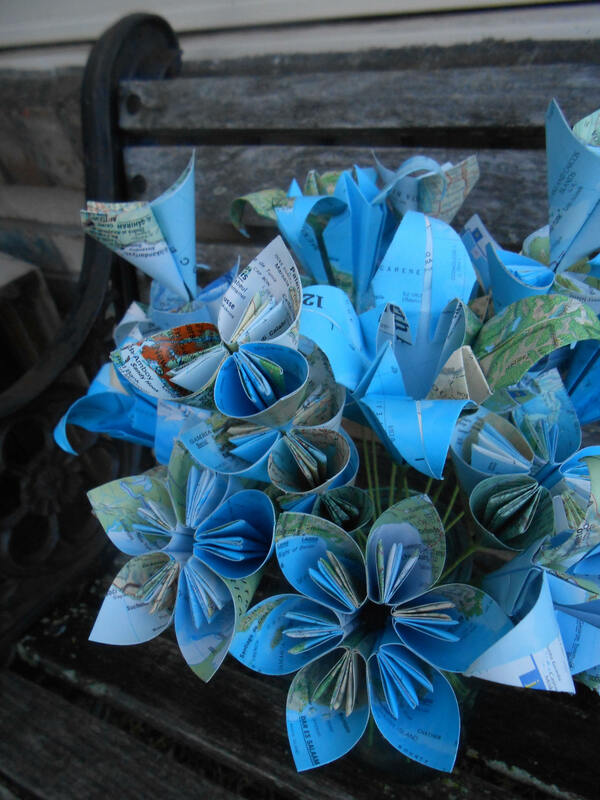 There are actually 30 flower in this bouquet. 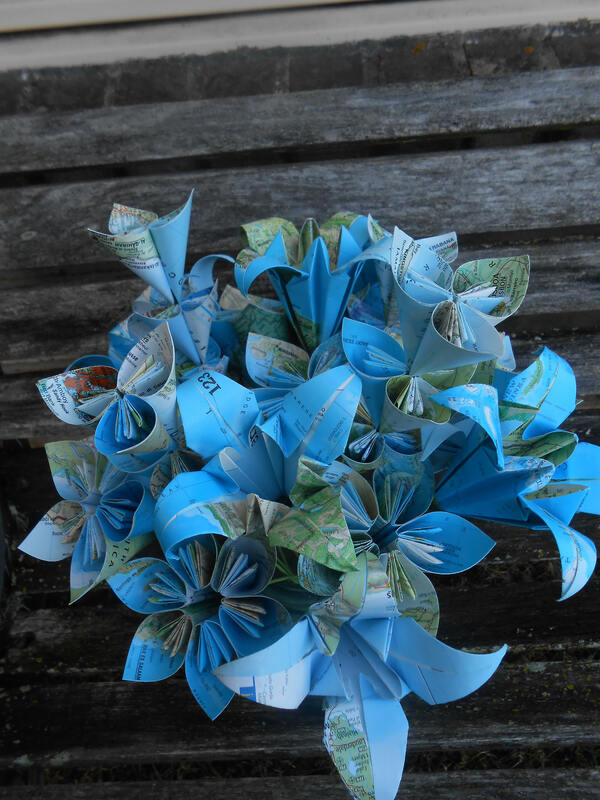 I can make these in any size or amount that you would like! If you would like a special order, just convo me and I would be happy to make you something! PLEASE KEEP IN MIND THAT IT TAKES ME ABOUT A WEEK TO PUT ONE OF THESE TOGETHER, so please plan accordingly. Thanks!